Feeling safe on the ground? Think again! 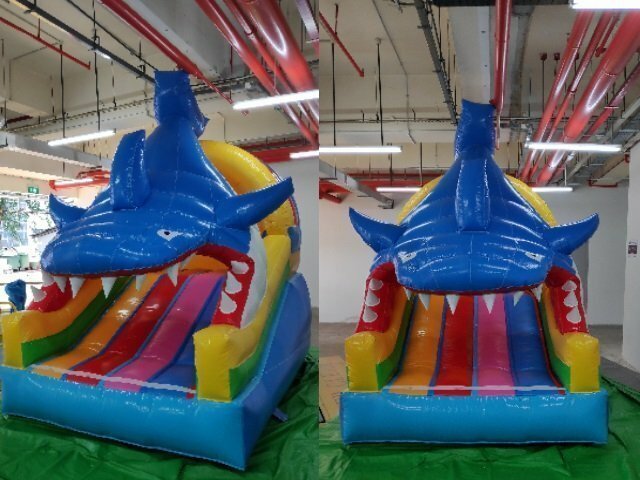 With our Shark Attack Bouncy Castle, you get to climb up the jaw and slide down the rainbow slide. What’s the next fun way without the danger? 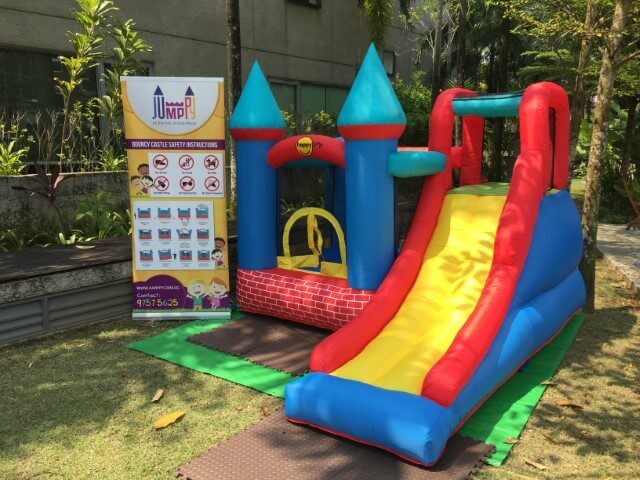 Are the bouncy castle clean? Yes they are! We clean them after every event. What is needed from you? We only need a power point nearby. We do carry along a 6m power extension cable. However, do let us know in advance if a longer one is needed. Is there any other hidden fee? No, all price stated are Nett pricing which also include delivery, setup and teardown. Do you provide safety mats? Yes, they’re provided as well. What if it rains outdoor? For the safety of kids, all activities have to be stop immediately. Blower (and electrical cable) have to be kept indoor and dry. Damages to any items under Jumppy will be charged according to the customer. Following locations will incur a surcharge of $20. Postpone of any event is subjected to $100 surcharge, subject to availability. Postponing of an event can only be done 7 days in advance.